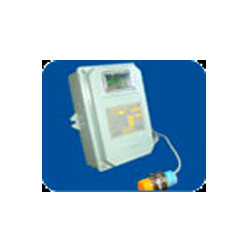 We are engaged in offering a wide array of ProximitySensors services. These services are useful for a wide variety of Proximity switches such as inductive, capacitive, optical (Photo Electric), magnetic, analog output type are available in both standard & any odd shape (custom built). We also offer these services for multiple output type & voltage. These services serve a wide array of Electronic Load Monitors, Electronic DC Brake and Reactor Soft Starter for LT / HT motors. 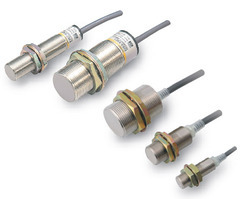 The series SW 705 Magnetic Proximity Switches are available in two broad categories. Position sensing switches with Reed Element. 2-Wire / 3-Wire Magnetic pick-up Sensors. These switches are available in different shapes and sizes. Tubular models are available in Brass/SS enclosures in sizes M12, M18 and M30 and above. 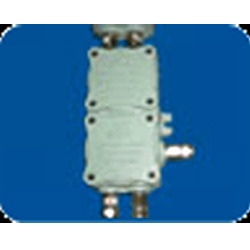 These switches are used only for position sensing application. These incorporate a hermetically sealed sensitive reed element. The object should necessarily be a magnet. These are provided with 2-core built-in cable. The output is a potential free contact and can switch external load directly. The switching voltage and contact rating depends upon switch size. Special models of latching type switches are available for direction sensing applications. These sensors can be used only for sensing motion of a ferrous object e.g. Gear Wheel. These incorporate a special high strength ALNICO Magnet with a properly designed coil. Special high frequency sensors incorporate a Hall effect sensor. These switches are available in 2/3-wire design. The 3-wire type switches have output logics / operating voltages similar to other types of switches described earlier. The 2-wire switches should be necessarily used with a special controller / amplifier unit. Bucket Elevator high temperature sensor. Wheel Rotation sensor for Fare-meter. 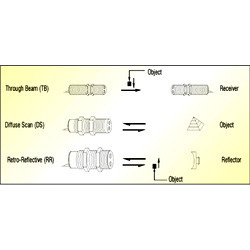 Sensing Range 10 to 50 mm depending upon Strength of object magnet. Our range of Proximity Switch is manufactured using quality raw material that is sourced from reputed vendors of the industry. We test this range thoroughly on several quality parameters using latest technology and tools at our sophisticated quality testing facility. The latest production techniques and industry trends are religiously followed and incorporate in our product range. Voltage Supply: 18 V DC. Connections: Three spring loaded terminals. Weight: 0.77 lb (350 g). This is a model built with Hybrid circuit and Digital IC technology. It is housed in weatherproof IP-65 Industrial Polymer enclosure. Sensor detects presence of metal objects which come within the range of their oscillating field giving rise to corresponding pulses. These pulses are fed to the control unit where they are compared with the standard pulses to sense the speed. Output is in the form of relay contact. 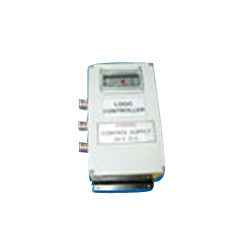 Standard contact rating is 5 Amp resistive at 230 V AC. In case of under speed – zero speed application built-in initial by-pass time delay is provided to allow the rotating machinery to attend the desired speed. This is a robust and heavy duty model built with Hybrid circuit and Digital IC technology. It is housed in weatherproof IP-65 Cast Aluminium enclosure of dimensions. We are offering our clients an exclusively designed range of Optical Proximity Switches in desired specifications and dimensions. It is widely used for automation and robotics applications. This range is based on advance infra-red technology and reliable technology. Owning to its impeccable quality and high sensing distance, this range is widely demanded. Moreover, it works more reliably in a noisy electromagnetic radiation environment and is completely immune to visible light interference. We are one of the prominent providers of an excellent range of Electronic Speed Switches RME21 in desired shapes and specifications. It is designed using finest grade IP-65 cast aluminum as per the latest standards of quality and performance. This range is highly reliable in terms of performance and readings. We test it on several well-defined quality parameters and deliver it within the stipulated time frame. The series SW 505 Capacitive Proximity Switches are designed for sensing wide range of materials. These switches give a superior performance for detection of various non-metallic objects where Inductive type switches can not function. The switch works on the principle of resonant oscillator circuit. A pair of brass/copper disc from the electrodes of a capacitor & the object acts as a dielectric media. The change in capacitance value, due to presence of object, is sensed by a precision integrated circuit. An effective output signal is generated at a preset value of capacitance. These are offered in tabular threaded housing from size M12 to M80. The enclosures are made of Brass, Stainless steel or Engineering plastics. Special shapes, teflon housings are provided against requirements. Standard models are provided with an integrated 2 meter long cable. Connector type versions are available with built-in male connectors. 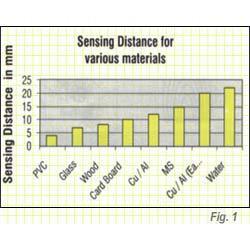 The sensing distance is affected by change in ambient temperature, humidity, size and material of the object. Operating Temperature : 55°C Max. Quiescent Current : 1) DC - 8 mA Max. 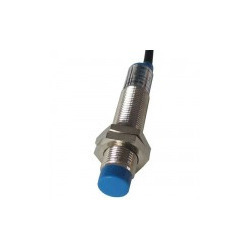 Rugged construction along with IP-67 grade of protection renders these switches to be very useful for liquid level monitoring applications. Electronic Speed Switches RMP21 offered by us is demanded across several industry verticals for its optimum quality and robust built. It offers accurate and reliable performance. It comes with a light-duty indoor model built with Hybrid circuit. The cutting-edge digital IC technology ensures reliable performance. 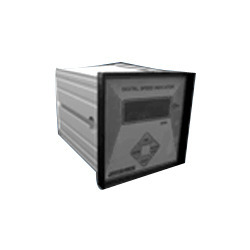 Electronic Speed Switches-RMP21 offered by us housed in DN Rail IP-30 ABS Plastic with utmost accuracy and finesses. Series SW 405 Inductive Proximity Switches available in varied shapes & sizes, are a reliable option for applications in Machine tools, Foundries, Rolling mills, Automobiles, Textiles, Pharmaceuticals and Material Handling systems. This type of switches work on 'Damped Oscillator' principle. During operation a frontally radiated electromagnetic oscillating field is projected from the sensing face. Any electrically conductive material entering this field causes damping of the oscillation. The standard Inductive Proximity Switches can sense any metallic (electrically conductive) object. However, we have special type of switches to sense either only ferrous objects or sense only non-ferrous (Cu, Al etc.) objects. This switch has a dome shaped electro-magnetic field present in front of the sensing area. The switch will sense the object entering into this domain. This is the distance between the target and the sensing face at which the switch operates. This is usually specified considering M.S. as target material. Targets other than MS actuate the Inductive Switches at relatively less distance with correction factor as given below. However this criteria is not applicable to special "Nonferrous sensing models." All standard inductive switches sense presence of any metal but will offer stated sensing distance only for ferrous materials like MS. The type SW 4051-NF is specially developed to sense only non-ferrous metals such as Copper, Aluminium, Gold, Tin, Zinc etc. The biggest advantage of this type of switch is that the non-ferrous objects are sensed from larger distances as compared to standard models. These switches are available in M18 and above sizes. The other operating features are same as those of standard 3 wire DC switches. Special high pressure type Inductive Proximity Switch has been developed for direct use in a Hydraulic cylinder. The switch construction is sturdy and is rated for pressure upto 500 bar. These switches are also available in connector version for easy replacement. 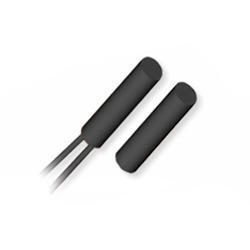 Backed with rich industry experience in the concerned domain, we are able to put forth a well designed range of Magnetic Sensor of different makes and types. It is widely acclaimed for its reliable performance and long life. This range is available in SPST-NO/NC & SPDT versions. It comes with options of higher electrical rating, magnet, termination, different cable types offered in customized formats and sizes. We also customize this range for its excellent quality and are offered at industry leading prices. Looking for Jayashree Electron ?